For garbage disposal repairs in Midtown Atlanta can do no better than Morningside Plumbing, but wouldn’t you rather not have to call in the pros? If you want to keep that disposal spanking new, here are the best ways to do it. It’s great to know that when you need garbage disposal repairs in Midtown, Atlanta has your back. After all, here at Morningside Plumbing, we have five decades of experience unsticking stuck disposals and replacing those that have given up the ghost. That said, wouldn’t you prefer to prevent those repairs in the first place? We know your bank account would, and your Saturday morning would probably appreciate it too. Good news. Proper use of a garbage disposal can keep it running smoothly for up to 10 years. With that in mind, let’s not dillydally any longer: Here are 10 ways to ensure your disposal lives a long and happy life – and you get a clean sink and Saturdays off. Like any other appliance or object, disposals need regular cleaning to stay in good shape. When you keep blades neat, sharp and tidy (see downloadable checklist for more on that), your motor is less likely to stall out while desperately trying to slog through tough jobs. With sharp blades, it can cut through messes fast; with dull, food-covered metal, it won’t get far at all. One of the most common reasons for garbage disposal repair in Atlanta is that people drop something down the Black Maw of Death. Either they can’t find it again (that annoyingly tiny salt spoon from the monster-in-law), or it breaks (the soapy shot glass that somehow shot right down that hole and shattered). We don’t need to tell you that neither annoying spoons nor former team pride glassware is good for garbage disposal blades, so first things first: Do not try to grind the problem away. Instead, immediately turn off the disposal, shut off the fuse that controls it, and stick your hand down there to retrieve the object. If you can’t, call a plumber. Fast action is absolutely one of the best ways to keep your disposal running smoothly. Although we associate hot water with cleansing, it’s not the best bet for a garbage disposal’s longevity. Hot water melts gunk, like cheese and oil, making it adhere to the blades of the disposal and the sides of the chute. No Bueno. Instead, use cold water. It makes food firm up, so that the disposal’s blades can cut through easily. Most people turn the disposal off as soon as the food goes down, but that’s not a smart move. You increase the risk of food sticking to the surface of the blades and the interior of the disposal, making it more difficult for the appliance to do its job next time. Over time, running the disposal too briefly can cause a serious buildup of old food and grossness that the blades will have a harder and harder time cutting through. Rather than letting that happen, just run the disposal a little longer than you think you need to. With the water on, let it go for another 10 seconds after all the food disappears. This will ensure that everything makes its way down the hopper and the blades have time to clean themselves off. That way, each time you go to use it, the blades will have fresh, sharp edges. For the most part, you shouldn’t use your disposal for anything big enough to compost or throw away. 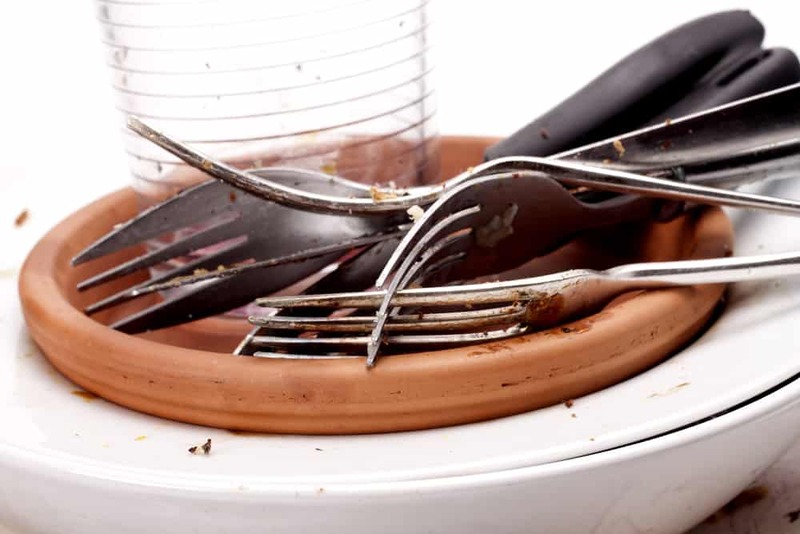 If you can scrape food into a pile on your plate, then keep scraping – right on into the garbage. 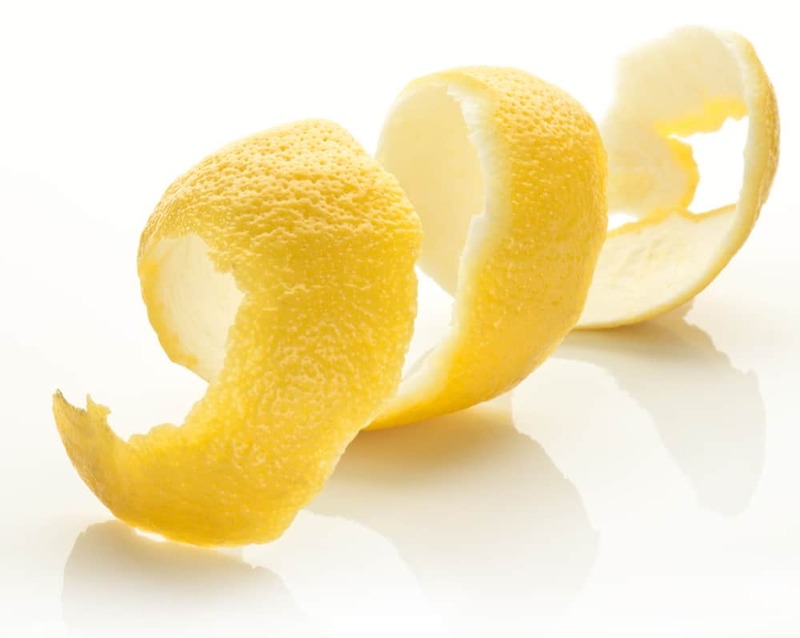 However, when you’re using food to clean your garbage disposal – like lemon or lime peels – it’s helpful to cut them into smaller wedges than larger. Otherwise, you risk jamming one of the blades and stressing the motor. When you do rinse food down the drain, make sure it’s small and easily ground up. While you can use harsh ingredients like ice or lemons to clean out the disposal, such items only make it harder to grind up everyday waste when they’re mixed in. Opt to scrape in sauces, leftover veggies and salads, and bits of bread and cheese, but put the big stuff in the trash/compost. Some “food” items aren’t really suited to the disposal. Think pits or seeds, which you might rightly assume are organic – but aren’t disposal-friendly. The same goes for bones, which you technically can grind up, but which will dull your blades quickly. Plus, these hard substances can create logjams further down in your pipe, and then you’d just have to call a plumber. Which, may we remind you, is what we’re trying to avoid. 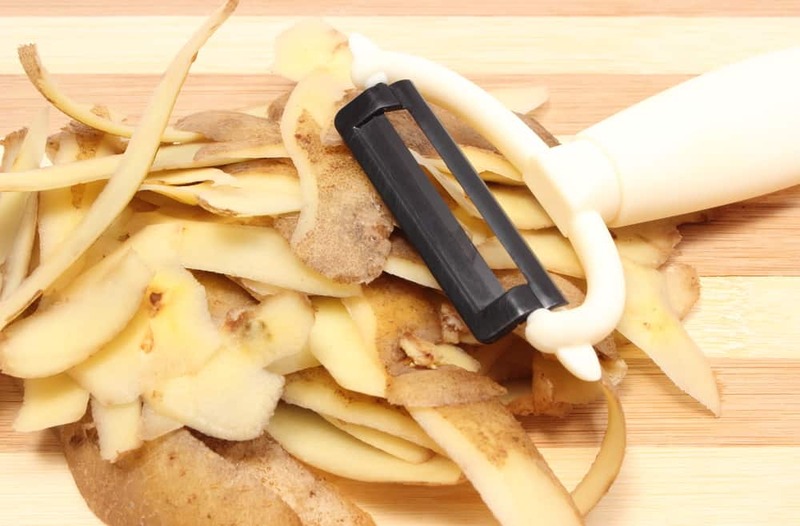 Leftover pasta and potato peels may seem harmless enough, but they’re not. Both contain a great deal of starch, which basically translates to glue. Over time, these starches will coat your blades and the inside of the garbage disposal hopper. Not only does that get smelly fast, but it dulls the blades and makes it harder for them to cut through food items. When they have a tougher time cutting through stuff, you must run the disposal longer, and it has to work harder. Even if nothing breaks, this can shave years off your appliance’s life. The garbage disposal is a drain. Like every other pipe in your house, you don’t want to clog that drain or life can get nasty. That means you have to keep grease and oil out of the disposal. Never run bacon grease or frying oil down the garbage disposal, even with hot water on. Always put such substances into the garbage instead. Is paper biodegradable? Why, yes, it is. But that doesn’t mean it belongs in your garbage disposal. Not only should you keep paper out of greywater for the sake of the environment, but the long fibers of which it is made can also jam up the disposal and make it work less effectively. Repeat after us: Food only! When it comes to garbage disposals – just like cars, food processors, and spouses – you have to get a good one if you want it to last. That means shopping smart from the get-go. When you’re on the hunt for a new disposal, check feed type, motor size, grinding chamber, auto-reverse, and other features. Make sure you get one that matches your lifestyle – the amount you cook, the amount that goes down the drain, your average shot-glass-catastrophe-to-month ratio. Okay, just kidding. Well, kind. But get a good one, that’s all we’re saying. If these tricks won’t cut it and you’re looking for garbage disposal repairs in Midtown Atlanta has you covered in the form of Morningside Plumbing. Don’t hesitate to click or call 404-873-1881 and speak to one of our friendly team members. We’ll tell you everything you need to know about garbage disposal repair services, as well as schedule an appointment at a time that works for you. Ready? Just call or click today.